[199 Pages Report] The liquid handling systems market is expected to reach USD 3.74 billion by 2022 from USD 2.65 billion in 2017, at a CAGR of 7.2% during the forecast period. The base year for this study is 2016. 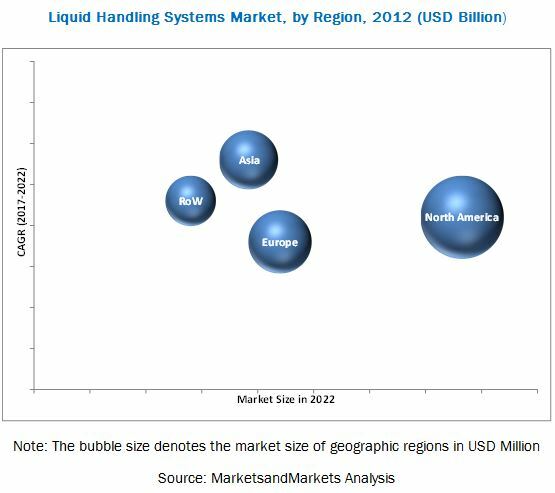 The key players in the liquid handling systems market include Danaher Corporation (U.S.), Thermo Fisher Scientific Inc. (U.S.), Eppendorf AG (Germany), Tecan Group Ltd. (Switzerland), Gardner Denver Medical (Germany), Mettler-Toledo International Inc. (U.S.), Hamilton Company (U.S.), PerkinElmer, Inc. (U.S.), Sartorius AG (Germany), Corning Incorporated (U.S.), Gilson, Inc. (U.S.), Agilent Technologies, Inc. (U.S.), Qiagen N.V. (Germany), Lonza Group Ltd (Switzerland), Brooks Automation, Inc. (U.S.), Integra Holding AG (Switzerland), Endress+Hauser AG (Switzerland), Labcyte Inc. (U.S.), BioTek Instruments, Inc. (U.S.), TTP Labtech Ltd (U.K.), Metrohm AG (Switzerland), BRAND GMBH + CO KG (Germany), Tomtec, Inc. (U.S.), Hudson Robotics, Inc. (U.S.), and Orochem Technologies Inc. (U.S.). The global liquid handling systems market is expected to reach USD 3.74 billion by 2022 from USD 2.65 billion in 2017, at a CAGR of 7.2%. A number of factors, such as global growth in pharmaceutical and biotechnology industries, rising demand for high-throughput screening, growing emphasis on data precision and accuracy, and technological innovations in liquid handling systems are expected to drive the growth of this market. The global liquid handling systems market is segmented by type, product, application, end user, and regions. By type, the liquid handling systems market is segmented into electronic systems, automated systems, and manual systems. The electronic systems segment is expected to lead the global liquid handling systems market in 2017. Greater accuracy and reproducibility offered by electronic liquid handling systems, coupled with their lower cost in comparison with automated systems are key growth factors of this subsegment. By product, the market is classified into pipettes, burettes, consumables, microplate reagent dispensers, microplate washers, liquid handling workstations, software, and other products. The use of pipettes in multiple applications and the wide range of volumes capable of being transferred are major driving factors for the pipettes segment. These benefits help the segment hold the largest share of the liquid handling systems market in 2017. On the basis of applications, the liquid handling systems market is segmented into drug discovery, clinical diagnostics, genomics, proteomics, and other applications,. Drug discovery is expected to account for the largest segment of the market in 2017. Increasing demand for innovative and advanced drugs and the rising incidence of chronic disorders across the globe are the factors driving the growth of this segment. By end users, the market is segmented into biotechnology and pharmaceutical companies; research institutes; hospitals and diagnostic laboratories: academic institutes: and other end users. In 2017, the biotechnology and pharmaceutical companies segment is estimated to account for the greatest share and is projected to grow at the highest rate during the forecast period. 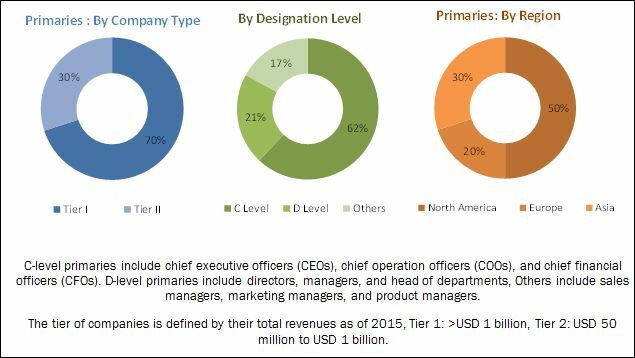 Rising investments, growing research activities, and developments in the biotechnology and pharmaceutical industries are major factors fueling the market growth in this end-user segment. The global liquid handling systems market is dominated by North America, followed by Europe. North America will continue to dominate the global liquid handling systems market in the forecast period. However, Asia is expected to witness the highest CAGR, with the growth in this market centered at Japan, China, and India. Improving life sciences research infrastructure in emerging economies and growing government investment in biomedical, pharmaceutical, and biotechnology industries are some factors propelling market growth in the Asian region. The worldwide economic downturn and pricing limitations are expected to restrain the market growth to a certain extent. The drug discovery and development process involves several phases, such as preliminary identification of candidates, synthesis, characterization, and screening. Methods such as in vitro HTS/uHTS assays, secondary confirmation screenings, counter screens, and ADME/Tox studies require massive sample sizes to be screened and analyzed. In the drug discovery process, liquid handling systems play an important role in sample preparation, assay set-up, high-throughput screening, in vitro experiments, cellular assays, and in vivo toxicity studies. Genomics applications include DNA purification, automated sample preparation, probe production for DNA microarrays, plasmid purification, DNA extraction for PCR, automated sequencing, purification of PCR products, automated agarose gel electrophoresis, and high-throughput RNA purification. Liquid handling systems are used in all these processes for precise and accurate dispensing of liquids. Major industry players launched innovative products in the recent past and have plans to launch new products and expand across geographies via partnerships and acquisitions in the future. Danaher Corporation (U.S.), Thermo Fisher Scientific Inc. (U.S.), Eppendorf AG (Germany), and Tecan Group Ltd. (Switzerland) have been identified as the top players in this market. These companies have a broad product portfolio with comprehensive features and have also launched innovative products. Further, these leaders have products for all end users in this market, a strong geographical presence, and they focus on continuous product innovations. 12.5 Gardner Denver Medical, A Division of Gardner Denver, Inc.